Using Adobe Spark Video, Adobe Spark Page or Adobe Spark Post on iOS? 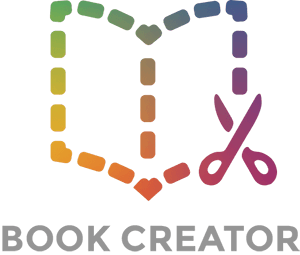 You can embed your creations straight into Book Creator. First, ensure you video is published to Adobe's servers, and then share it from Adobe Spark to Book Creator. When you're finished making your video, first upload it to Adobe's servers. Click on the Share arrow in the top right and choose Copy link to clipboard. Check the details and then click on the red Copy link to clipboard. Next, from the My Videos screen, tap on the 3 dot menu for the video you want to share, and tap on Share, then tap on the Book Creator icon. Don't see Book Creator? Follow this guide first. For Adobe Spark Page, the procedure is the same - publish the web page first using the Share arrow. Then from the My Pages screen use the 3 dot menu to share to Book Creator. In Adobe Spark Post, publish the post first then use the 3 dot share icon (next to the social media icons at the bottom) and tap on the Book Creator icon. With each method, you should see confirmation that the item was shared to Book Creator. Now, in Book Creator, you'll be able to tap + and then the Shared tab to access the media that you've shared to the app. Simply tap on the item in the menu that you want to add to the page. Adobe Spark Post images will be added straight to the page just like any other image. For Spark Video and Page creations, you'll see a verification that you want to embed the web content. Tap Done to advance. For this embedded content, you'll be able to interact with it when you switch Book Creator to Read Mode (with the Play button), or if you publish your book online.